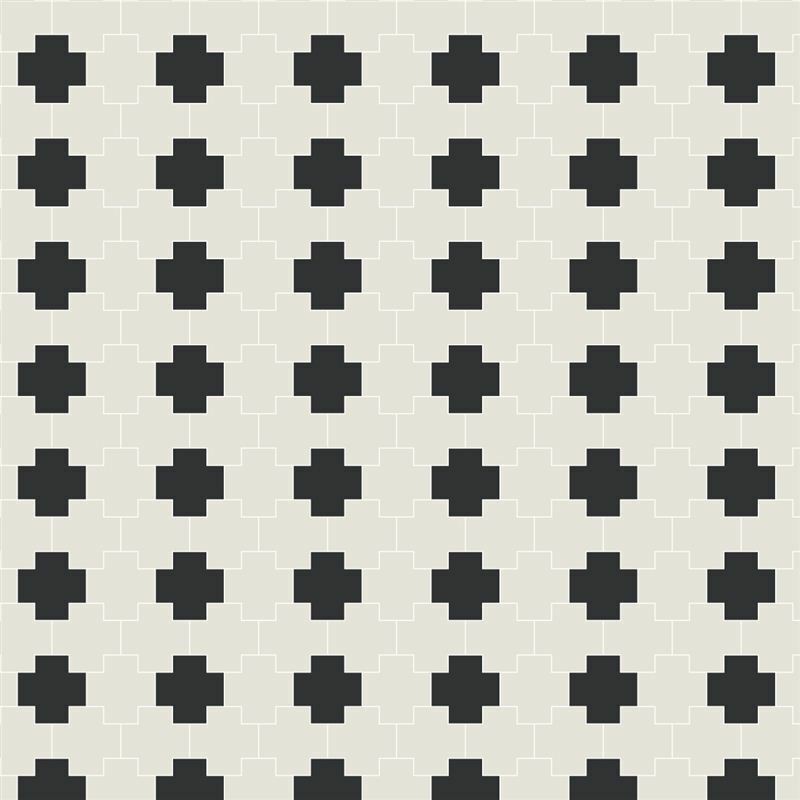 Modern: Mosaics — Tile Source Inc. 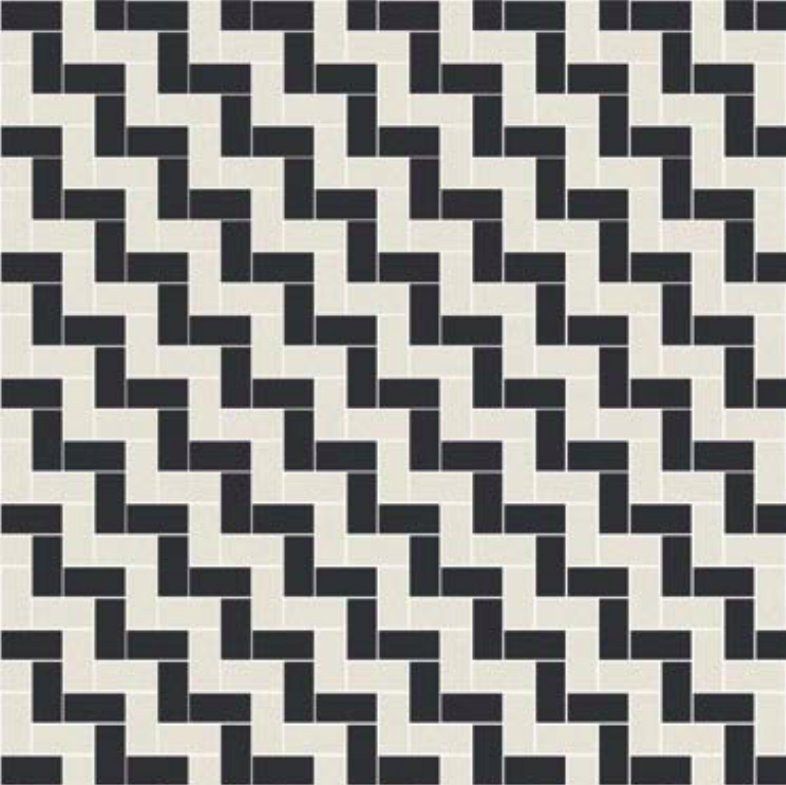 Though encaustic and tessellated patterned floors dominated late Victorian and Federation domestic, commercial and civic architecture, it was not the only type of floor covering on offer for heavy traffic areas. Mosaic floors, fabricated from the same material as the tessellated componentry - vitrified porcelain, became increasingly popular for pathways and verandahs as well as bathrooms. Major civic and commercial projects, employed porcelain mosaic floors. The reasons are not hard to understand: mosaic floors were lightweight and easier to install, therefore cheaper to install. The predominantly white floors, accented with black, blue, brick red or multi-coloured patterns appeared brighter, cleaner and more hygienic in the small, poorly lit bathrooms of the period. What mosaics offered was the ability to respond to the architectural style of a building in a more unified and aesthetically coherent way, especially when that architectural style was Art Nouveau or Art Deco, with its reliance on organic, floral shapes and exaggerated whiplash curves. Tessellated floors continued to be popular well into the 1930's for the pathways and verandahs of Californian Bungalows, though the patterns were simpler and the colour palette was limited to more earthy tones. However, bathrooms, and in some cases kitchens, continued to employ the hexagonal white mosaics with black or blue contrasting accents on the floor. 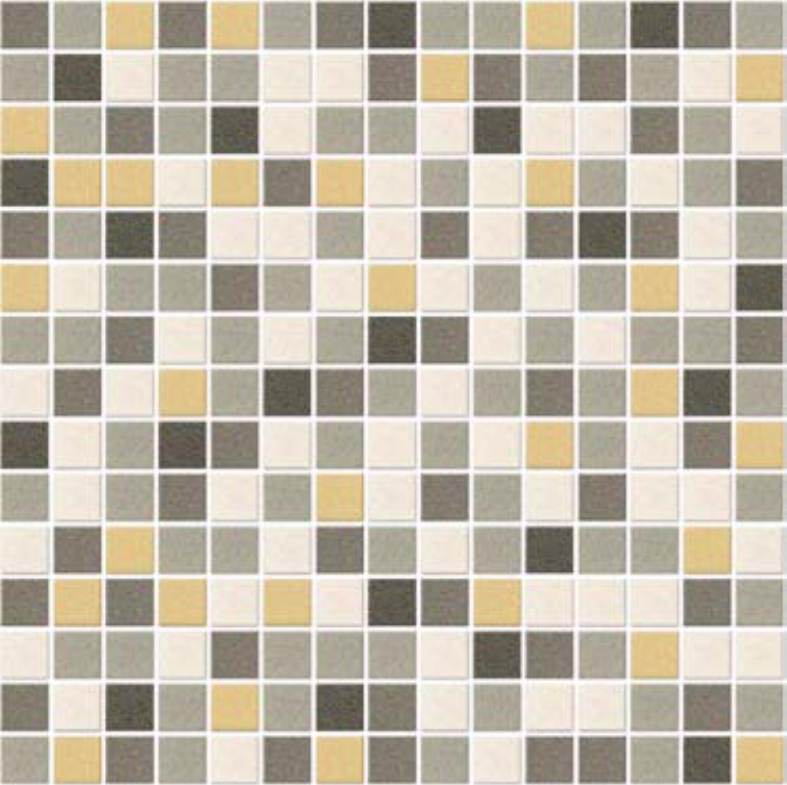 Our range of porcelain mosaics takes its inspiration from this period (1880's-1930's) and allows you to restore or refurbish your home in an authentic and elegant fashion. You don't have to own a period house. 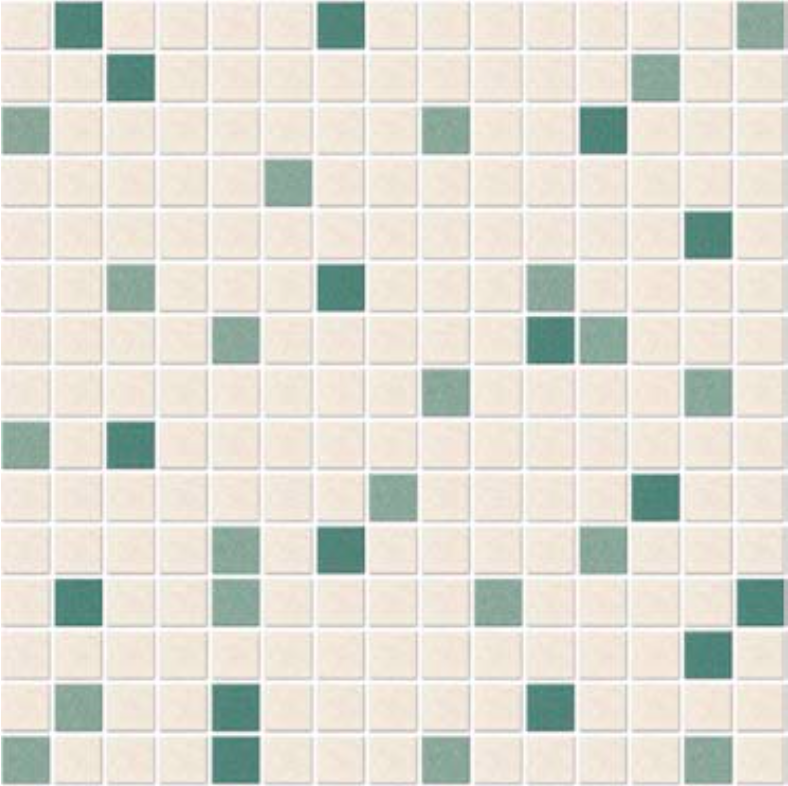 Our mosaics are equally suited to contemporary environments, including pools, flat or curved walls, and commercial and retail projects. 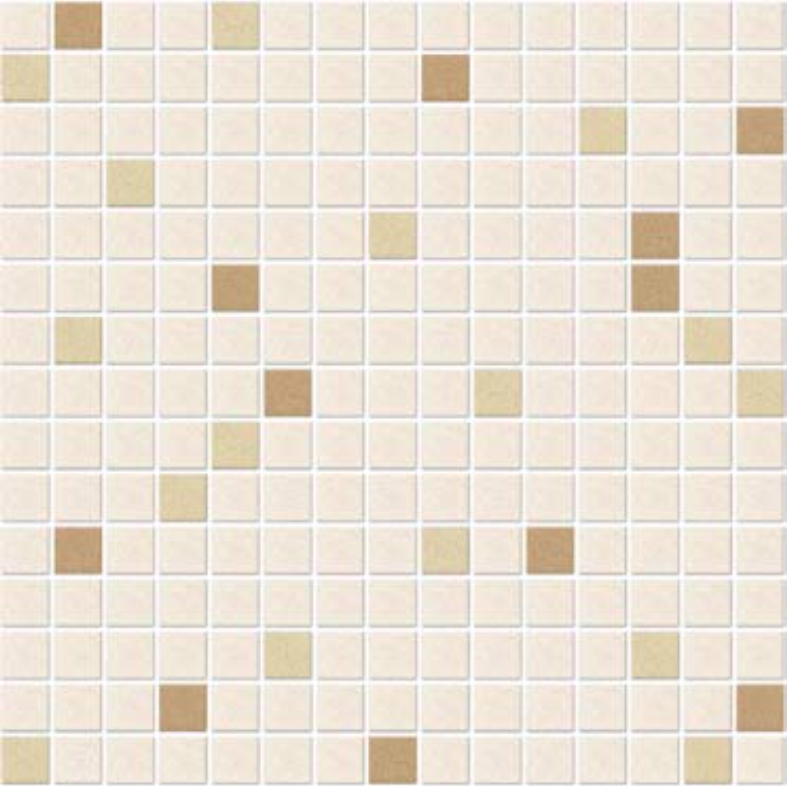 Fully vitrified mosaics are extremely durable and resistant to frost, scratching, acid, moisture absorption and impact. They are rated well above the recommended professional standards and norms. 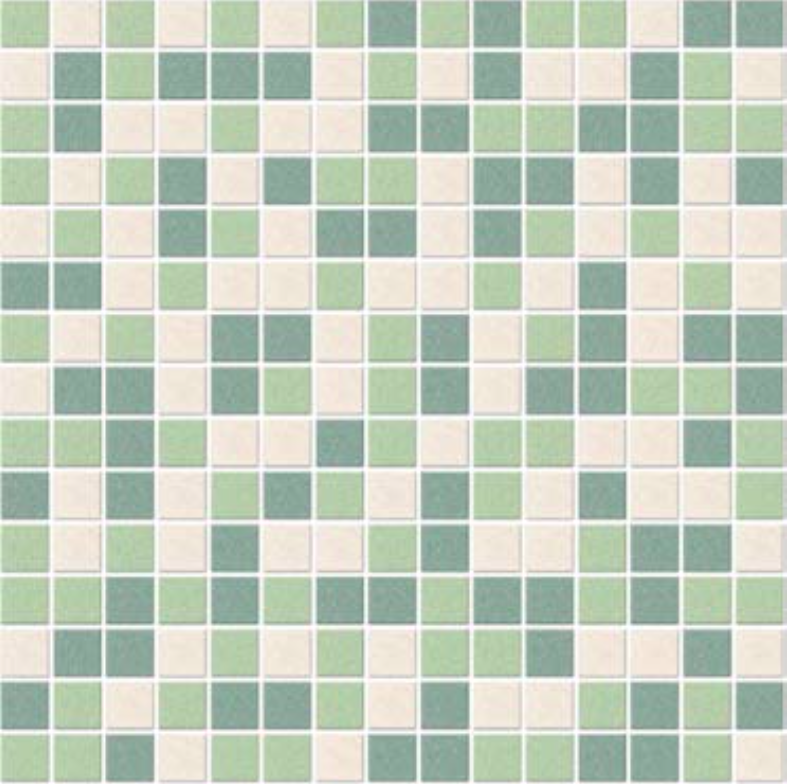 The mosaics in this collection can be used inside and out, in wet or dry environments. Commercial projects can be customised to your specific requirements. 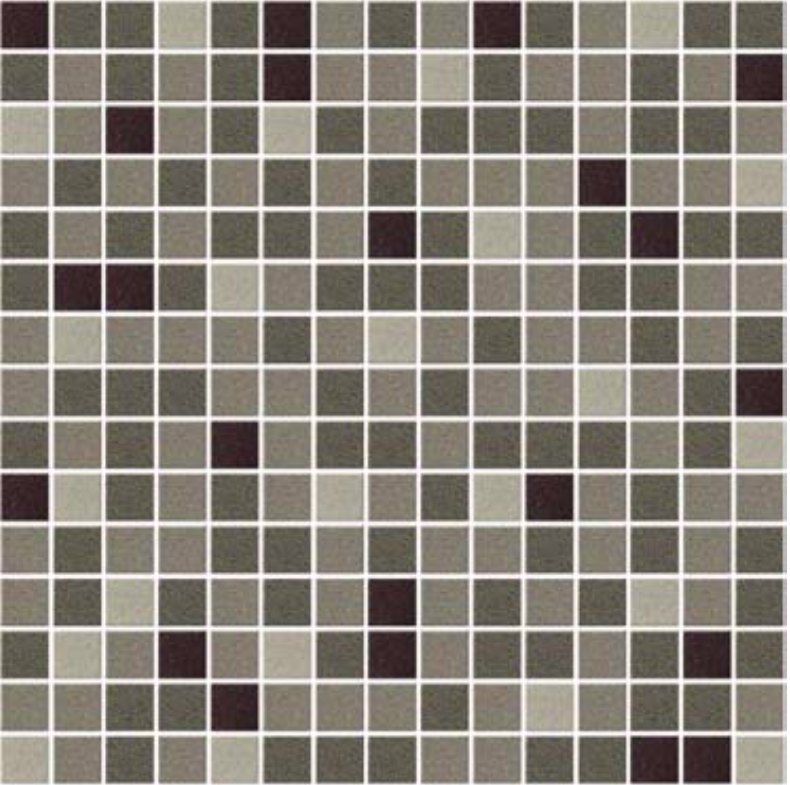 Our mosaics come in 20 x 20mm - (20) & 50 x 50mm - (50) squares and 25 x 25mm - (25) & 50 x 50mm - (50) hexagon. Changes to highlight colours can be made with full colour indent range. 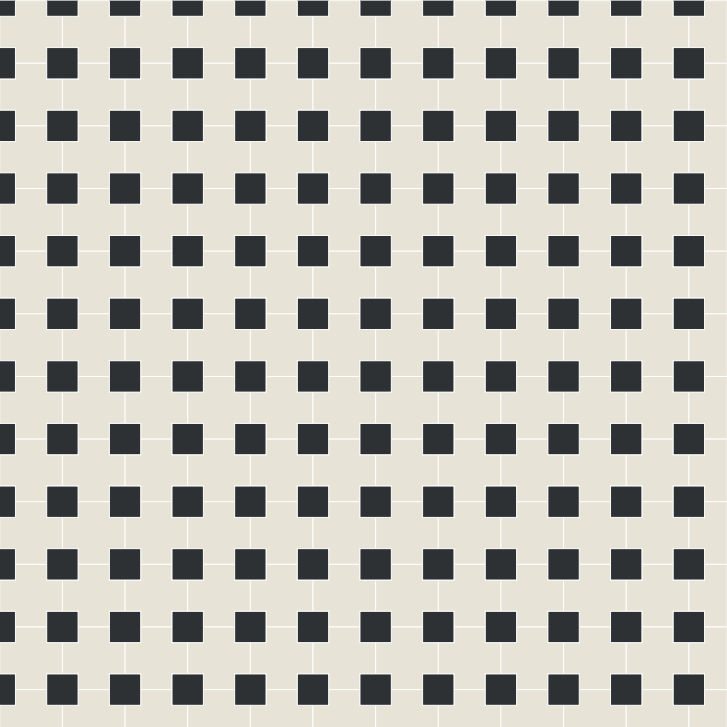 Background colours remain Super White, Black and Light Grey.